Homeowners taking part in the Scottish Government’s boiler scrappage scheme are able to get £450 off a brand new Worcester Bosch boiler, courtesy of Plumb Center. The Scottish Government recently announced it was extending its popular boiler scrappage scheme, which provides homeowners with a grant of £400 towards the cost of a brand new boiler. Plumb Center is currently offering a further £50 off any Worcester Bosch boiler purchased from them under the scheme. 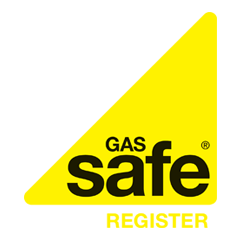 The boiler must be on the Energy Saving Trust’s recommended list and the installer must be Gas Safe registered and a member of a recognised industry body for the extra discount to apply. “The extension of the scrappage scheme to replace inefficient boilers in Scotland will be of huge benefit to both homeowners and installers and we want to do all we can to make it as affordable as possible,” said Alan Stevenson, trading director at Plumb Center. Homeowners need to obtain a grant voucher by following the scrappage scheme procedure either online via the Energy Saving Trust website or by calling 0800 512 012 before installers can apply for the £50 discount at Plumb Center.